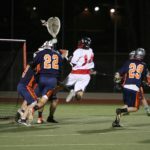 March 7, 2014 – The Biola University Eagles men’s lacrosse team scored six seconds into their game against the Pepperdine University Waves en route to their first conference win of the season. A pre-game technical foul gave the ball to the Eagles to start the game, allowing Bryce Hummel (Fr., Midfield) to get to a quick shooting opportunity, just inside the offensive box. After the quick game-opening goal, the Eagles blew the game wide open, leading 11-0 after the first quarter. Biola tacked on six more goals in the second, and Pepperdine scored their lone goal in the second, giving the Eagles a 17-1 lead at halftime. The Eagles slowed the pace in the third, scoring just two goals, before coming on strong in the fourth with eight more goals. The 27-1 win gives Biola a 5-3 overall record, and a 1-1 conference record, for the 2014 season. David Shaum (So., Attack) lead all scorers with 11 total points, on eight goals and three assists. Riley Corbett (Jr., Midfield) and Jon Prichard (Fr., Attack) matched each other’s scoring output with five goals and two assists each. Hummel ended with four goals and one assist after his game-opening score. Eric Gamelson (So., Attack) scored just one goal, but added three assists, Josh Nordstrom (Jr., Midfield) added three goals and one assist. 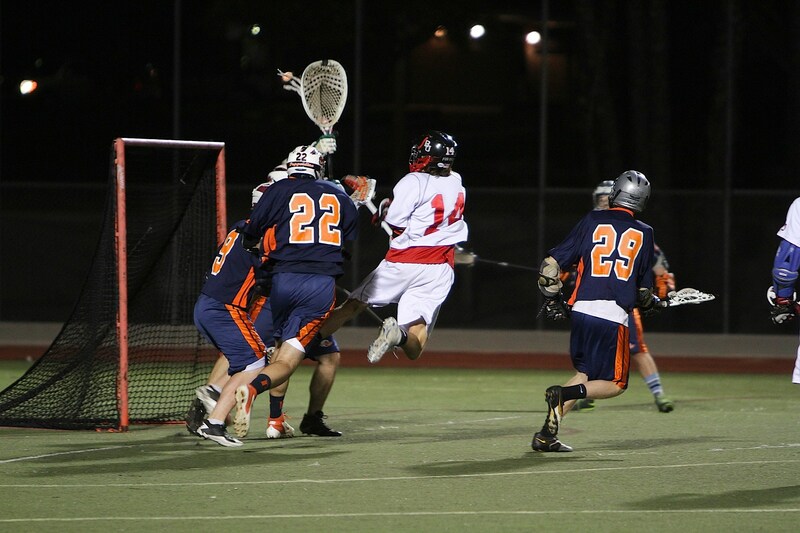 Matt Casto (Fr., Midfield) rounded out the goal scoring with one goal and two assists, and J.T. Moranski (Sr., Midfield) made his way into the box score with one assist. John Harzan (Fr., Goalie) was largely untested in the game, needing to make only one save.